Rioja is one of the more traditional and known denominations of origin throughout Spain. Rioja wines are not only of extreme quality, but are exported to many countries and we can find them in renowned restaurants with prices that compete with Italian and French wines. Within this designation, The wines from the Rioja Alavesa are elaborated in a climate eminently Atlantic-Mediterranean, which favors a rich production of wines with special flavors and full-bodied. Among red grapes, the most important variety is tempranillo, accounting for 90% of total production. 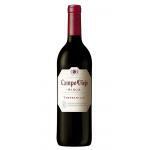 It results in young wines with fresh fruit and berries flavors. Great with your most special dishes. Garnacha and graciano are the other two varieties of red wines. As for the whites grapes, the macabeo variety produces fresh wines, clear and transparent color, while the malvasia, although with less production, gives rise to a deep aroma with citrous touches. The young wines are the most characteristic of this variety. They taste of fruit and are usually quite lighter. Ideal with a wide variety of dishes because they go well with almost everything. 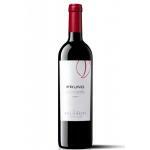 The crianza wines have much more body and the perfect pairing is with poultry and wildfowl. The reserves are high quality and taste of ripe fruit with vanilla notes, with also aromas of the wood where they remain while aging. Finally, we find the great reserves, with personality and touches spicy touches. Want to make wine tourism? One of the areas with more routes to know the wine in depth is La Rioja. In this case, the Rioja Alavesa is no exception, and the Cellar Association organize wine tasting workshops and and tours in order to present their wines to a demanding and gourmet type of tourist.